AJAX, Ont.—A man charged in the deaths of a woman and her two teenage children has appeared briefly in an Oshawa, Ont., court. Cory Fenn, his face bloodied and bruised, was arraigned on three counts of second-degree murder in the deaths of Krassimira Pejcinovski, 39, her son 15-year-old son Roy Pejcinovski, and 13-year-old daughter Venallia Pejcinovski. Dressed in a blue T-shirt and grey track pants, a handcuffed Fenn looked around the courtroom but said nothing apart from his name and “yes” when the justice of the peace said he should ask for medical attention when he returned to jail. Fenn was remanded in custody until an appearance by video on March 29. The 29-year-old was arrested Wednesday night, hours after Durham regional police found the three victims with “obvious signs of trauma” in an Ajax, Ont., home. 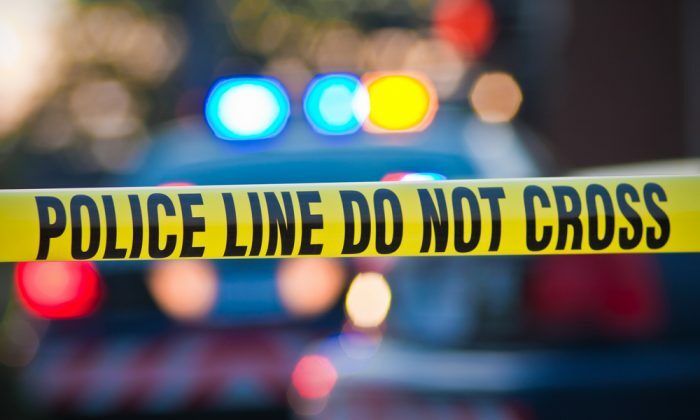 Police said Krassimira Pejcinovski and her son were dead when officers arrived, while Venallia Pejcinovski was rushed to hospital with critical injuries and died later Wednesday. Fenn, who was known to police, was romantically involved with Krassimira Pejcinovski but did not live with the family, police said. Police have not said how the three victims died, but have noted that autopsies were expected Thursday or Friday. “As soon as we get those results back we’ll have a better understanding of how they died,” Const. George Tudos said. Police also said Pejcinovski’s oldest daughter, a 16-year-old, was not home at the time of the incident and has been reunited with her father. Police said they were alerted to Wednesday’s incident after a women stopped by to check on Krassimira Pejcinovski but was barred from entering the home by a man. Officers said the man left in a vehicle that was later found abandoned. A small pile of flowers and cards was seen outside the family’s Ajax home Thursday afternoon. Tudos noted that the family was well-regarded. The staff of a Toronto minor hockey team said Roy Pejcinovski was a star goalie with the major bantam AAA Don Mills Flyers. Grief counsellors broke the news of the boy’s death to his teammates Wednesday night, team officials said, noting that the teen was a prospect in next year’s Ontario Hockey League draft. Slawson, who said he had known the teen since the boy was seven years old, said Pejcinovski was a skilled and determined player. The team’s Friday night game has been cancelled, but they will hold a practice on Saturday where grief counsellors will be brought in, Slawson said.